The curved drip tip is made of high quality glass and stainless steel. Perfectly match with 510 tank atomizer. Just get it as spare parts. Do yourself a favor & try one of these._x000D_ I use a Triton V2 and was tired of sucking up splatters of ejuice not to mention how hot the metal tip got. The elbow eliminated juice on the lips & mouth and the glass dissipates heat. Also a huge inside diameter for free airflow. Another rare feature is the double o-rings, unlike every other curved tip out there with one weak ring the twin configuration on these hold firmly in place. Vaporider is the only vendor I've found that still stocks this tip for folks who really enjoy a good flavor vape without the heat & splatter. Highly recommended! 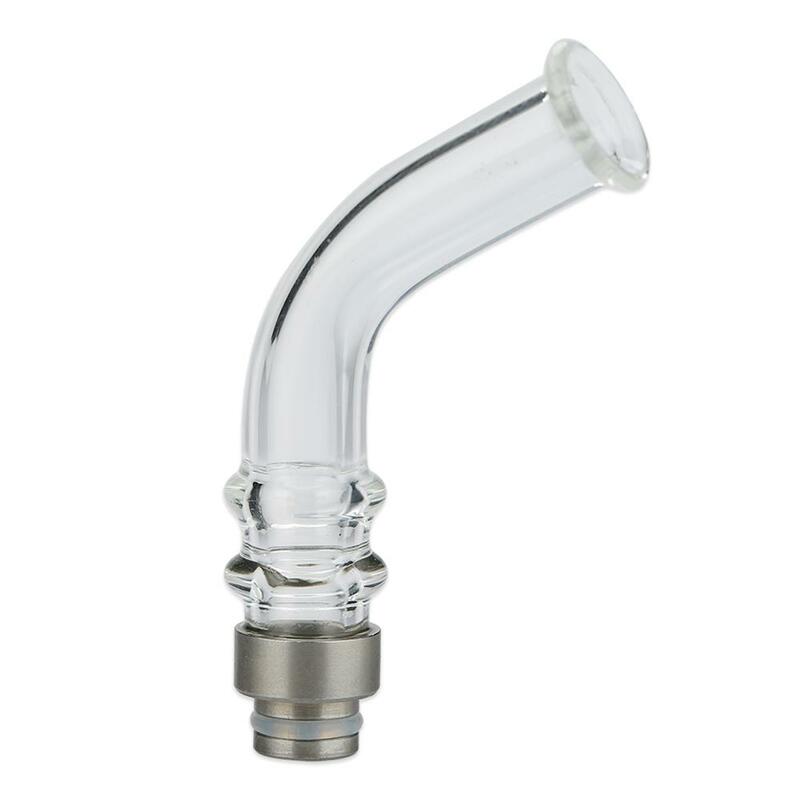 Glass Curved 510 Drip Tip for Vape RBA RTA Tank Vaporizer. Drip Tip Pyrex Glass Stainless Core Bend Mouthpiece.